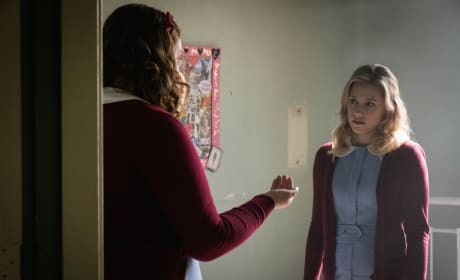 Deep in the depths of the Sisters of the Quiet Mercy, a familiar foe has returned to welcome Betty to her new surroundings. Who could it be? Betty is stuck in the depths of hell at the Sisters of Quiet Mercy. She needs to escape before they come to get her. 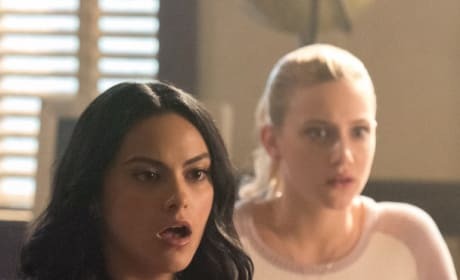 Something has happened at Riverdale High! 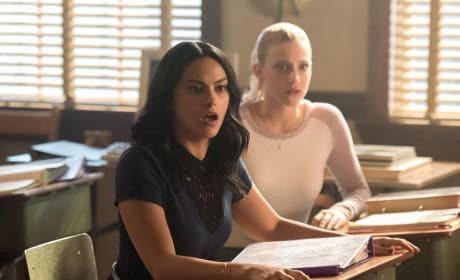 Both Veronica and Betty are shocked at the latest disturbance in class. But what could it be? 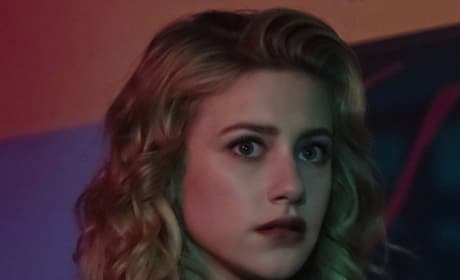 Betty has heard the truth of the past and placed the pieces, but there's still so much left to the mystery. 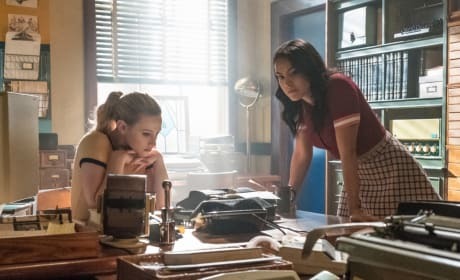 Betty and Veronica want to learn more about Gryphons and Gargoyles. To get all of the facts, they're going to need for their parents to start telling the truth. 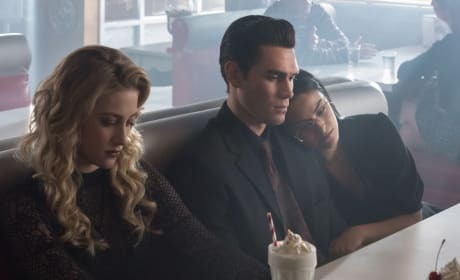 Alice has come a long way since her early Southside Serpent days. She was a rebel without a cause ... and she loved every minute of it. 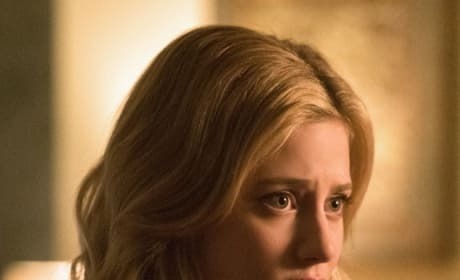 Just like FP and Hermione, younger Alice and Fred look to be getting a bit closer too while at Riverdale High. Alice, Fred, and Hermione look so sad, and they're dressed in black. Could they have been at a funeral? Who died? 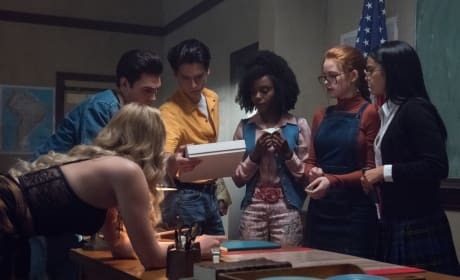 The gang has discovered a mysterious white box in their classroom. Could this be how they discovered Gryphons and Gargoyles? 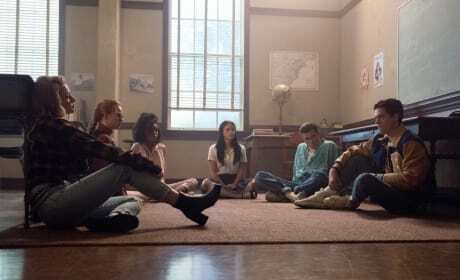 The unlikely of people have come together to hang out at Riverdale High. 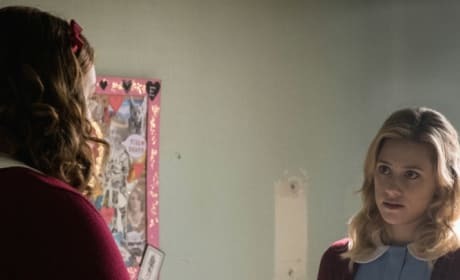 Why would Alice, Penelope, Sierra, Hermione, Fred, and FP be together?